How we roll at Mapo Jeong Daepo (정대포) in Seoul: a double order of the galmaegisal, sizzled over charcoal till its fatty juices run into a hot basin of liquid egg, kimchi, onions, pepper, and garlic. 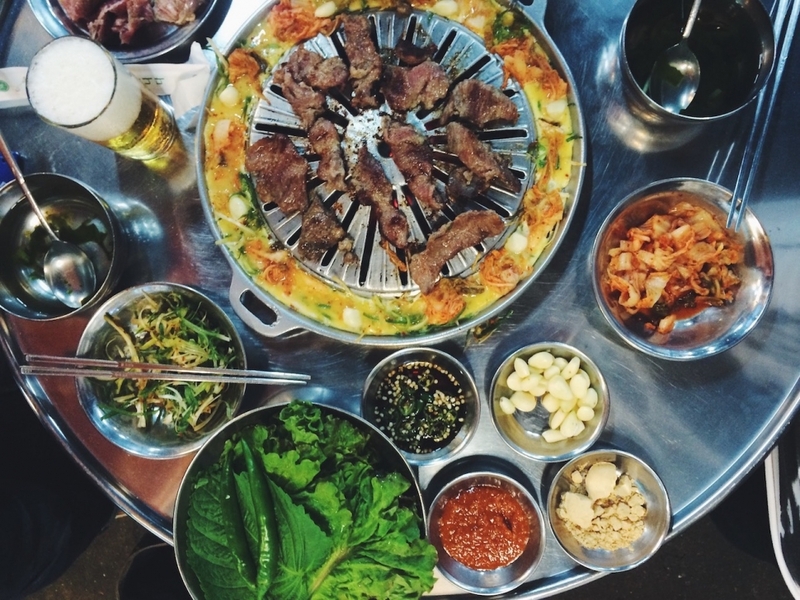 Cook it all up and wrap a strip of the pork skirt steak in a perilla leaf with a bit of omelet, a dab of ssamjang, a sprinkling of miseutgaru (multi-grain powder), and holy mother of God—is this the best barbecue in South Korea? It comes damn close. Props to expat Joe McPherson for introducing us to this place when Cartogramme editor Ashlea Halpern was researching this story for Bon Appétit. McPherson’s long-running food blog, ZenKimchi, offers a wealth of restaurant information. For a more intimate experience, sign up for an outing through his other company, Korea Food Tours. The themes include The Ultimate Korean BBQ Night Out and a Chicken and Beer Pub Crawl. Dude knows of what he speaks. 183-8 Dohwa-dong, Mapo-gu, Seoul, South Korea; +82-2-3275-0122.